Not as Ye Olde as some York pubs but a friendly local atmosphere and good service (and proximity to my hotel) made it a favourite of mine. My pints of Doom Bar (3.00) were tasty, as was the food. Unobtrusive sport on the multiple TVs. Friendly welcome, efficient service and an excellent pint of York Brewery Guzzler. The interior is largely opened-out and first impressions might make it seem just another circuit pub. However, it is cosy and has a relaxed atmosphere. 7/10. The last time I was in York I walked straight passed this pub and wish I hadn’t now as it just means I missed out on a decent night of drinking. 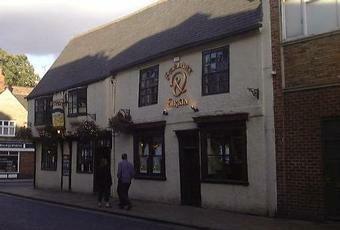 The pub itself is of a good size in that the atmosphere isn’t lost no matter where you are in the pub. I went in two nights on the trot mid week and was given a warm welcome and served immediately. First drink got served up by the guy who seemed to be the manager, as did the second and third. Each time quickly and as the drinks went on pre-emptively and he walked the line perfectly of making conversation and then letting me choose when to engage further. They had a guy working the floor clearing tables and delivering food who was also on the ball so it seemed like a theme of the pub. The next night I went in and my drink was almost on the bar before I got there. The service was exactly the same except for the addition of another member of staff who was just as polite and affable. All in all, I like to think a good gauge of a pub is whether you’d drink it in regularly if it were round the corner from you; and yes, yes I would. Standard boozer with big screen for sport. Yorkshire terrier was of good quality, beer choice dissapointing but so much choice elswhere. Popped in before visiting the nearby Fish & Chip shot and enjoyed a couple of pints of one of the three reals on the bar. Good mix of people - some eating, others just drinking. A loud chap was dealt with quickly and without a fuss. Staff friendly. Then the football started ... so I went and got my spam fritter and chips!